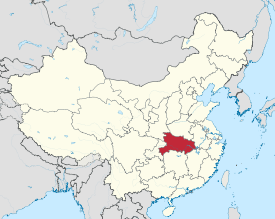 For Chinese townships, see Hubei Township (disambiguation). Not to be confused with the province of Hebei. "North of the Lake [Dòngtíng]"
The province—and Wuhan in particular—suffered severely from the 1954 Yangtze River Floods. Large scale dam construction followed, with the Gezhouba Dam on the Yangtze River near Yichang started in 1970 and completed in 1988; the construction of the Three Gorges Dam, further upstream, began in 1993. 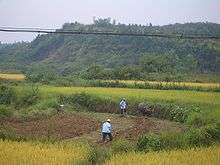 In the following years, authorities resettled millions of people from western Hubei to make way for the construction of the dam. 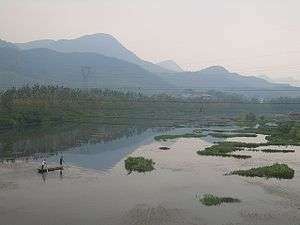 A number of smaller dams have been constructed on the Yangtze's tributaries as well. 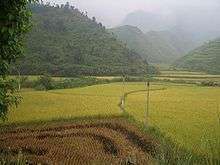 Hubei is divided into thirteen prefecture-level divisions (of which there are twelve prefecture-level cities (including a sub-provincial city) and one autonomous prefecture), as well as three directly-administered county-level cities (all sub-prefecture-level cities) and one directly-administered county-level forestry area. 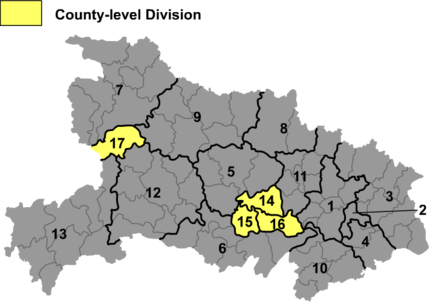 The thirteen prefecture-level divisions and four directly administered county-level divisions of Hubei are subdivided into 103 county-level divisions (39 districts, 24 county-level cities, 37 counties, 2 autonomous counties, 1 forestry district; the directly-administered county-level divisions are included here). Those are in turn divided into 1234 township-level divisions (737 towns, 215 townships, nine ethnic townships, and 273 subdistricts). 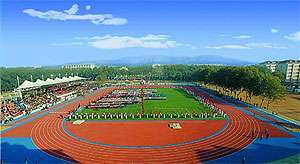 Hubei's economy ranks 11th in the country and its nominal GDP for 2011 was 1.959 trillion yuan (311 billion USD) and a per capita of 21,566 RMB (2,863 USD). The government of Hubei hopes to keep the GDP growth rate above 10% annually and double per capita GDP by 2020. 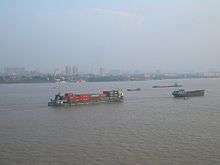 Wuhan (Hankou) part of Hubei Province until 1927; dissolved in 1949 and incorporated into Hubei Province. The reports didn't give figures for other types of religion; 92.92% of the population may be either irreligious or involved in worship of nature deities, Buddhism, Confucianism, Taoism, folk religious sects, and small minorities of Muslims. Taihui Taoist Temple in Jingzhou. Baotong Buddhist Temple in Wuhan. Guangde Buddhist Temple in Xiangyang. 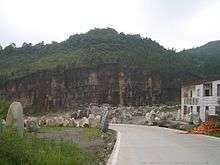 An ancestral shrine in Hong'an, Huanggang. Rural Buddhist community temple in Xianning. ↑ 《2013中国人类发展报告》 (PDF) (in Chinese). United Nations Development Programme China. 2013. 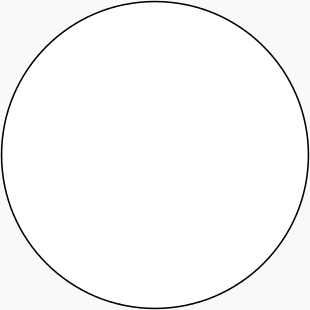 Retrieved 2014-01-05. ↑ Constance A. Cook and John S. Major, eds. Defining Chu: Image and Reality in Ancient China, (Honolulu: University of Hawai’i Press, 1999); Lothar von Falkenhausen, Chinese Society in the Age of Confucius (1000–250 BC): The Archaeological Evidence (Los Angeles: Cotsen Institute of Archaeology, 2006), 262–88. ↑ Brian Lander. State Management of River Dikes in Early China: New Sources on the Environmental History of the Central Yangzi Region . T'oung Pao 100.4-5 (2014): 325–362. ↑ Benedict, C.A. 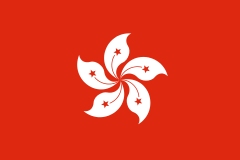 (1996). Bubonic Plague in Nineteenth-century China. Stanford University Press. p. 10. ISBN 9780804726610. ↑ "中华人民共和国国家统计局关于第一次全国人口调查登记结果的公报". 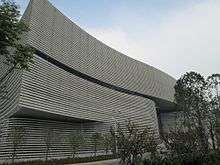 National Bureau of Statistics of China. ↑ "第二次全国人口普查结果的几项主要统计数字". 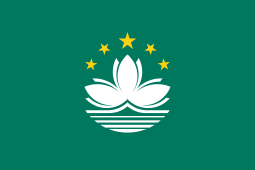 National Bureau of Statistics of China. ↑ "中华人民共和国国家统计局关于一九八二年人口普查主要数字的公报". 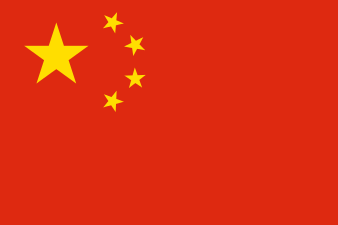 National Bureau of Statistics of China. ↑ "中华人民共和国国家统计局关于一九九〇年人口普查主要数据的公报". National Bureau of Statistics of China. 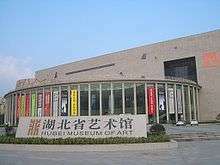 ↑ "现将2000年第五次全国人口普查快速汇总的人口地区分布数据公布如下". 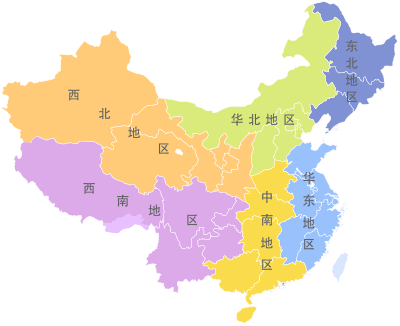 National Bureau of Statistics of China. 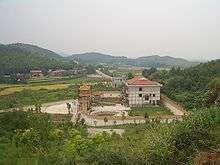 ↑ Eric N. Danielson, "The Ming Ancestor Tomb"
Wikivoyage has a travel guide for Hubei.